the University of Mary Hardin Baylor will host a special jazz concert by Sammy Miller and the Congregation at 7:30 p.m. in the Baugh Performance Hall of the Sue & Frank Mayborn Performing Arts Center. A native of Los Angeles, Grammy-nominated musician Sammy Miller is known for his focus on making music that feels good as not only a bandleader but also as drummer and singer. Upon completing his Master’s at The Juilliard School, Sammy formed his ensemble, The Congregation. As a band, they share the power of community through music. Independently the band’s members have performed and recorded with notable artists including Wynton Marsalis, Lady Gaga, and Queen Latifah at venues including the White House, Lincoln Center, and the Hollywood Bowl. This concert qualifies as a Fine Arts Experience (FAE) credit for UMHB students. 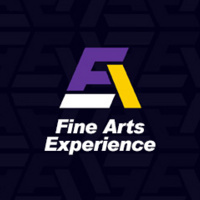 The Fine Arts Experience program is designed to help students gain an appreciation for the fine arts in many forms during their time on campus. To this end, students are required to attend at least one designated Fine Arts Experience event each semester. Admission is free but tickets are required for this event. Call the Box Office at (254) 295-5999 to reserve tickets or stop by during business hours Monday through Friday from 1 to 4:00 p.m. The doors of the Sue & Frank Mayborn Performing Arts Center will open at 6:30 p.m. Seating begins at 7:00 p.m.
Sammy Miller and the Congregation were terrific!